Physocarpus opulifolius ‘Donna May’ | J.C. Bakker & Sons Ltd. 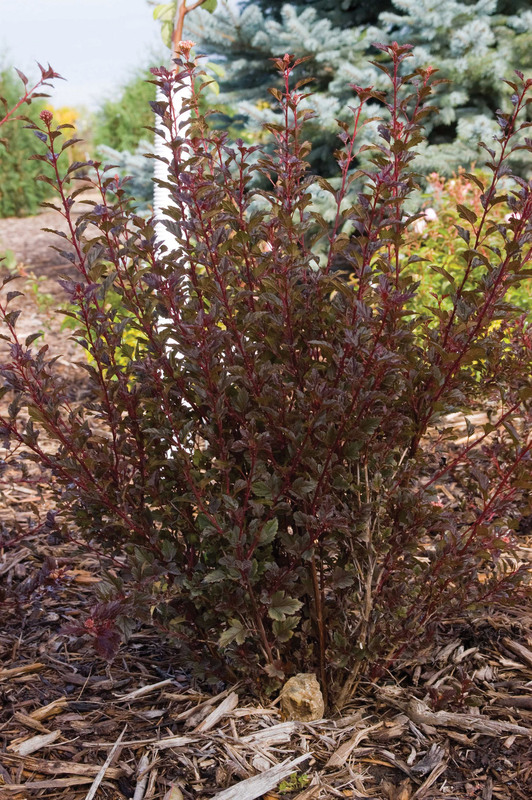 Deep burgundy foliage colour in a compact, easy to grow and maintain shrub. Needs little to no pruning and is free from pest and disease issues. Button-like white-pink flowers in June. SKU: 32700302. Categories: First Editions, Shrubs. Tags: Donna May, First Editions, Little Devil, Ninebark, opulifolius, Physocarpus.